Today was Day #7 of Chocolate and Holiday Spices Theme Week, and Day #1 of Chocolate and Dominican Republic Week. 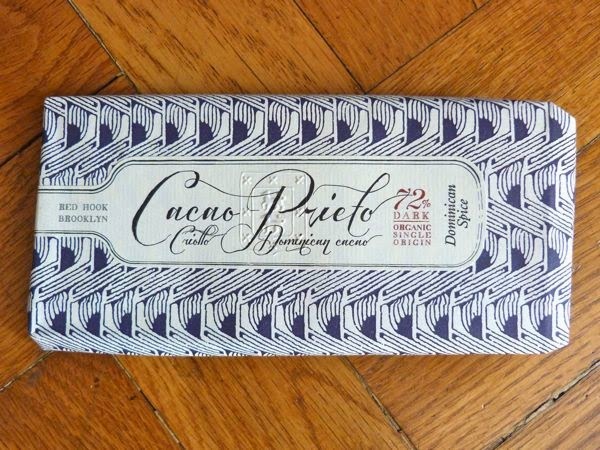 Cacao Prieto (Red Hook, Brooklyn, NY) is a "beans-to-bar" chocolate maker. The makers -- Daniel (Prieto) Preston and team -- are fortunate to have access to cacao beans from the Coralina Farms plantation in the Dominican Republic, owned by the Prieto family. According to the Cacao Prieto website, this 100% organic plantation has been producing cacao for more than 100 years. Today's Cacao Prieto Dominican Spice 72% dark bar was made from Organic Criollo Dominican cacao. Criollo beans are known for their subtle, fine flavors. The chocolate had a pleasing buttery melt and texture; and the smooth dark flavor possessed a hint of slight bitterness in the aftertaste. 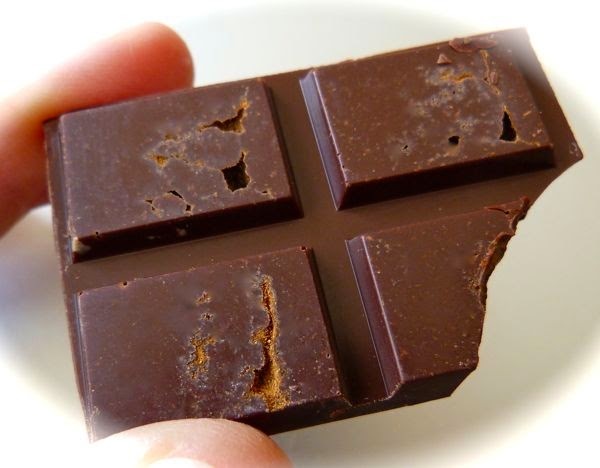 It was difficult to taste any nuanced Criollo cacao flavor notes, as the wonderfully balanced blend of warm island spices -- cloves, cassia, nutmeg and cardamon -- gave this bar its predominant aroma and flavor.